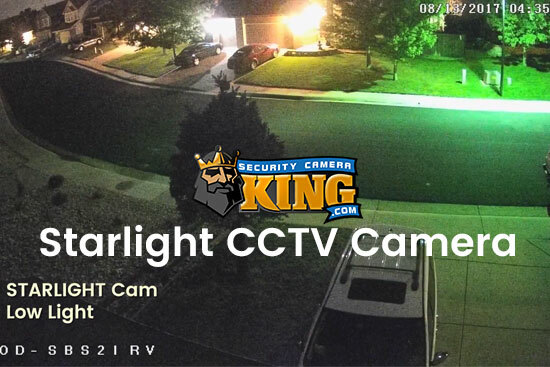 The Starlight security camera has night vision capabilities that are superior to any comparable camera that holds a claim on similar features. Its ability to capture video images of locations with little to no light is unlike any night-vision camera in the industry. It is not only the first of its kind but surpasses all security cameras competing for the same title. Utilized for its intricate night vision with the likes of National Geographic, there really is nothing comparable to a Starlight security camera. 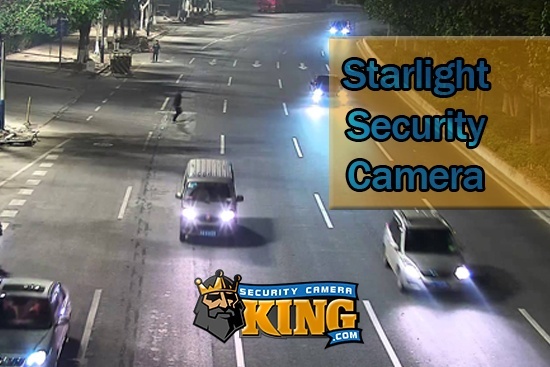 That is why Security Camera King promotes its Starlight security camera products and guarantees a genuinely satisfactory result for any buyer looking for surveillance equipment with night vision capabilities. 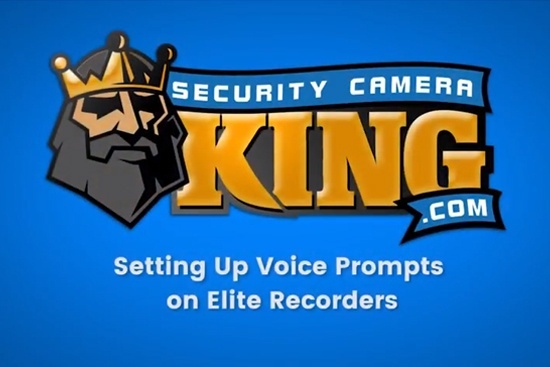 Security Camera King is an online distributor of high-tech security equipment that upholds its promise to offer Starlight security camera products and its other surveillance equipment at wholesale prices for companies looking to buy our products in bulk or individuals in need of cameras for their personal home surveillance system. An affordable option to the Pan Tilt Zoom 2MP High Definition 1080p market. A primary feature is its capability to run all audio, video, and Pan Tilt Zoom control through a single RG59 cable, eliminating excess wires. It works over a standard coax cable and works by switching your DVR to an HD-CVI capable DVR and attaching a microphone. The STARVIS CMOS Image Sensor brings an unforeseen low-light image in pitch black conditions to view from up to 492 feet. Additionally, it has Auto Day/Night, White Balance, Gain Control, and True HDR features and can be preset for up to eight tours. Part of the ELITE Series, this Starlight security camera tracks objects automatically and brings a futuristic technology to life. It has the ability to turn on the recording feature itself once it recognizes a new object or person in its trajectory. It has 30x zoom and can be used remotely from anywhere with a network connection. It contains five patterns and eight built-in tours. Contains the latest in the 2MP Elite series IP Network PTZ technology, including auto-tracking and Intelligent Video Surveillance (IVS), only available in a couple other cameras. It includes such features as facial detection, motion, detection, tripwire, intrusion, scene change, and abandoned or missing object and alarm you whenever one of these features detects a discrepancy. The newest IP PTZ Starlight security camera product that includes 20x optical zoom and uses a CAT5/6 cable to transmit its video signal to a network video recorder. Manufactured to be weather-proof, it has an IK10 rating and a TVS 6KV lightning and surge protection guarantee. Easily installed, it comes with a wall mount and an included 24V AC power supply cable. Known as the Elite 2MP Pan Tilt Zoom Starlight security camera, it includes advanced features like intelligent video surveillance (IVS), facial detection, intrusion, and tripwire. It comes with eight pre-programmed tours and five available patterns and is equipped with a 4.5mm to 135mm lens with 20x optical zoom abilities and wide dynamic range (WDR) technology. A high-quality and cost-efficient option bullet camera with an IP66 rating for indoor and outdoor settings. Delivers an HD 2MP resolution and adds a 2.8-12mm manual zoom lens for necessary details. ONVIF compliance means it works with all other ONVIF devices to fully realize its security properties. Our 2MP eyeball dome option that has an IP66 rating permitting it to be used indoors and outdoors from temperatures as low as -4°F and as high as 122°F. The built-in LED lights enable it to see 98 feet without the Starlight technology while using a 2.8-12mm manual zoom. This Starlight security camera product is ONVIF compatible and only uses a standard 12V DC power supply. Each of these security cameras comes equipped with the Starlight security camera technology. This technology is the latest inclusion in surveillance equipment and boasts the highest quality night vision available to the surveillance equipment market. Put simply, this security camera makes images visible in complete darkness in a high-resolution video. Though night vision has not been a new feature to the surveillance market, its ability to track activity in locations with limited light has been lacking and certainly provided a need for improvement. This is where Starlight security camera products stepped in and improved a feature that is increasingly becoming more necessary to maintain full security protection for businesses and private residences. The Starlight security camera boasts features unseen in the surveillance industry, redefining what is possible in low-light locations. Security Camera King partners with Digital Security Guard to fully realize your surveillance system. Digital Security Guard is a remote monitoring security guard service that brings a 24/7 surveillance option to you as a cheaper alternative to traditional security guards. For more information on how to utilize the remote security option visit their website at Digital Security Guard. At Security Camera King we distribute the most high-tech Starlight security camera and accompanying surveillance products at highly competitive prices for anyone in need of surveillance equipment. 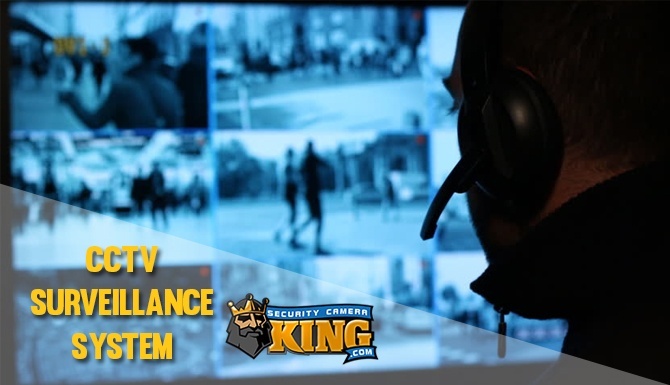 Visit our website at Security Camera King for additional information on the above products or to view our entire catalog of security cameras and equipment. Contact Us with any additional questions, and remember us if you are in need of a Starlight security camera.